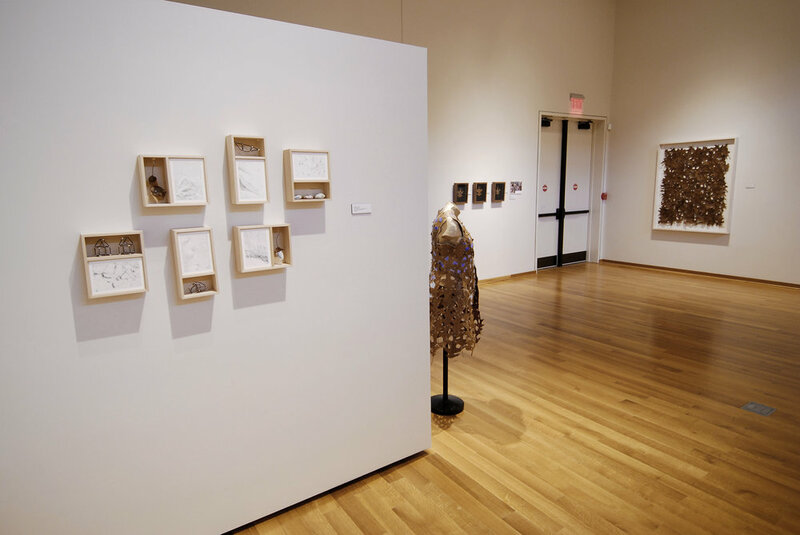 REMEMBRANCES: fabric, thread, music wire, mounted photos, 2018 and on-going. 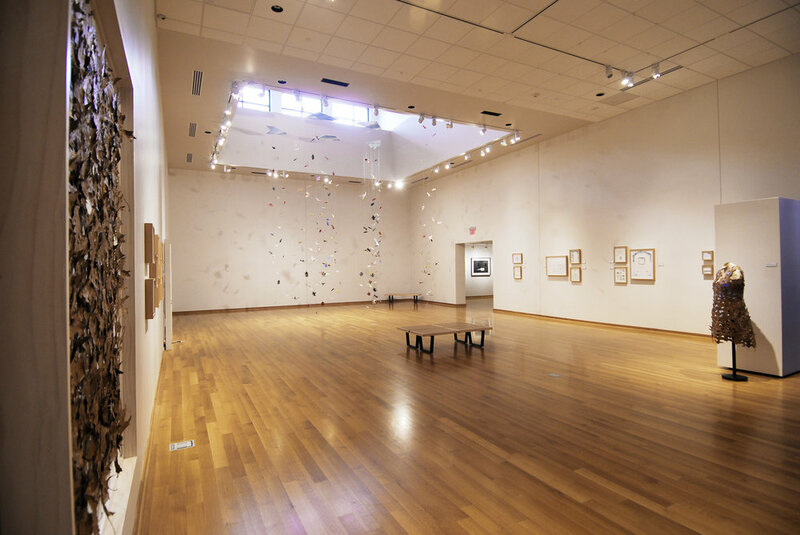 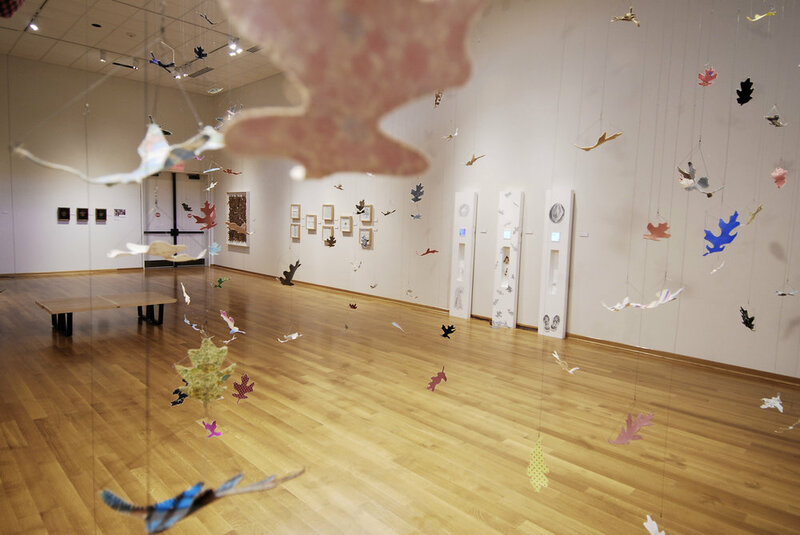 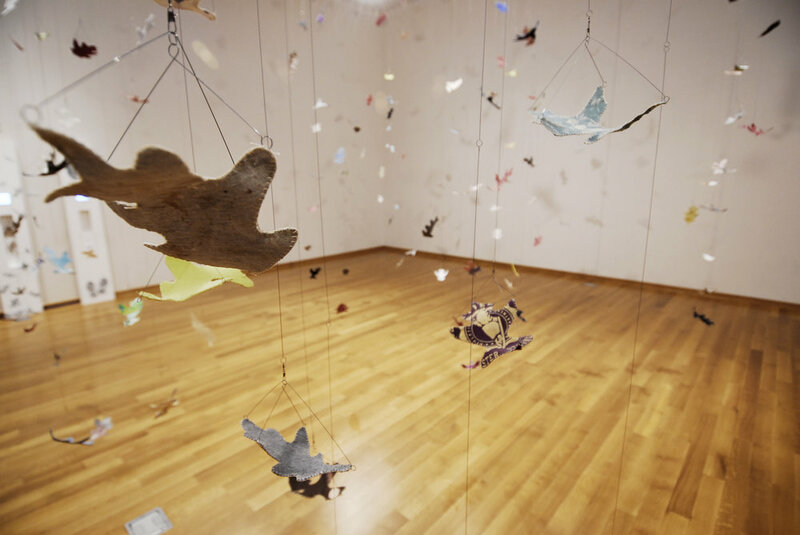 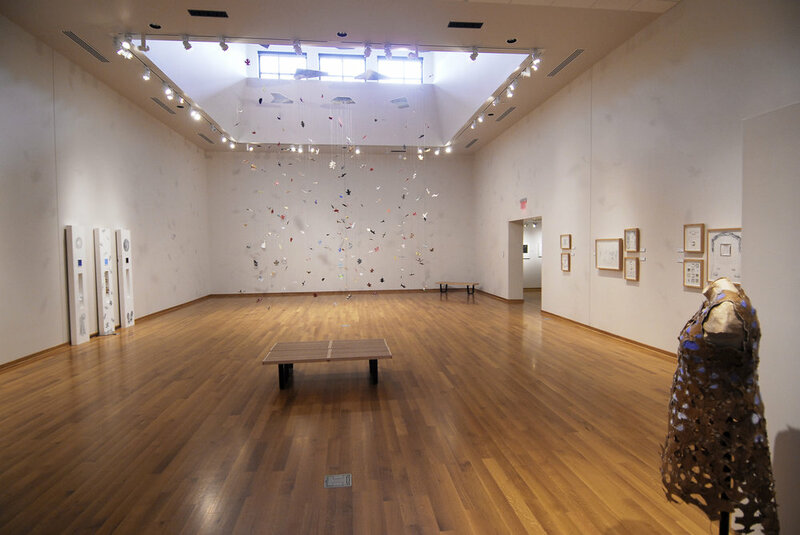 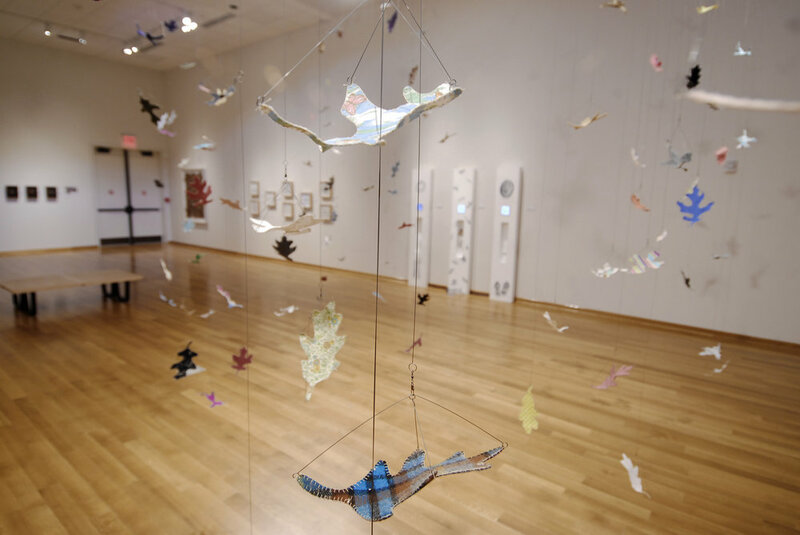 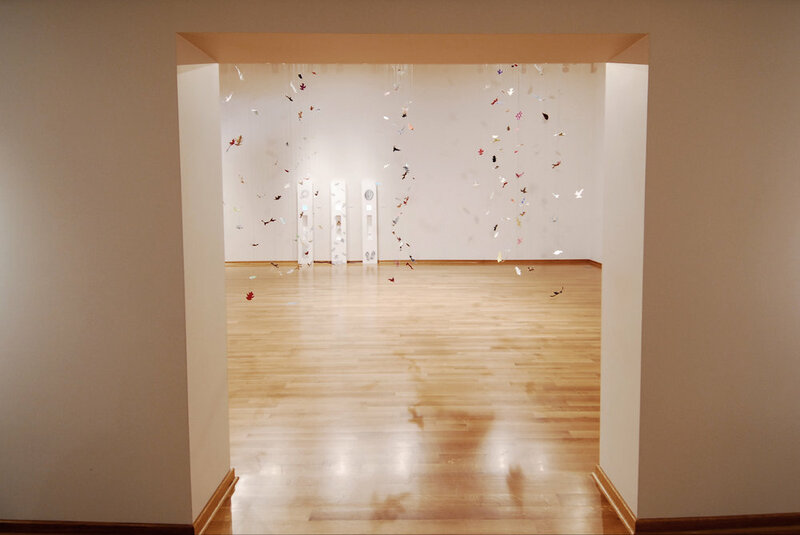 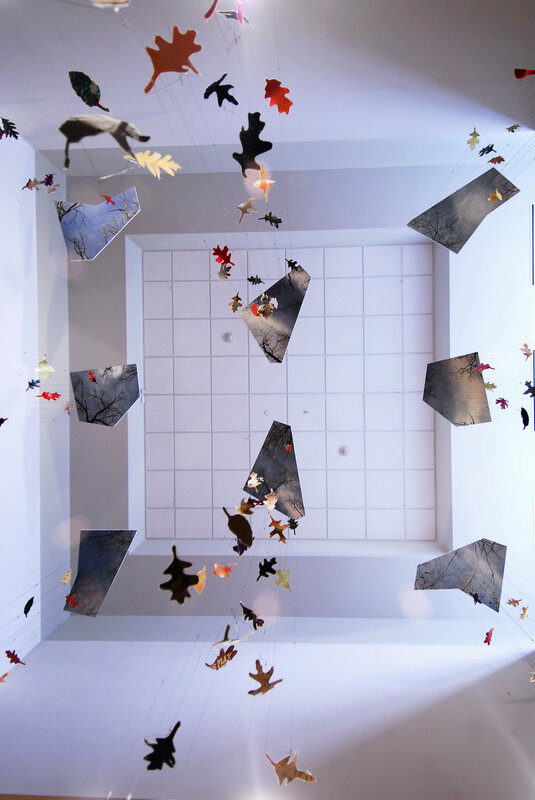 Installed here at The Center Art Gallery at Calvin College in Grand Rapids, MI. 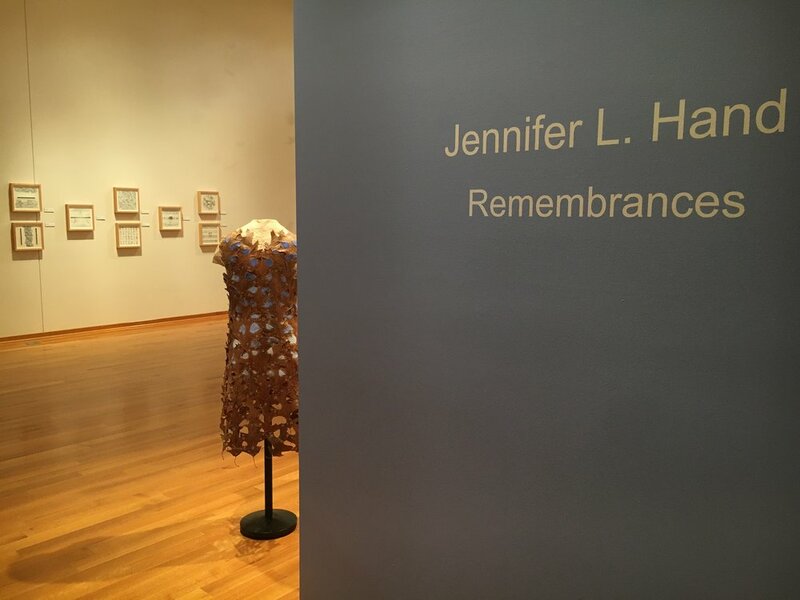 Remembrances consists of 200 hand-sewn fabric leaves made from donated "fabric with a history" (fabric that has been used, worn, or set aside as a remembrance). 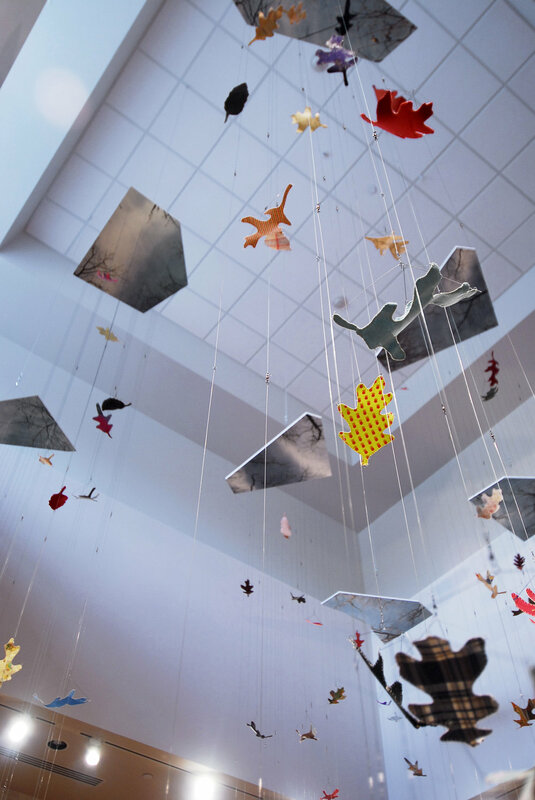 The project is on-going and will continue to expand as it travels to other venues. 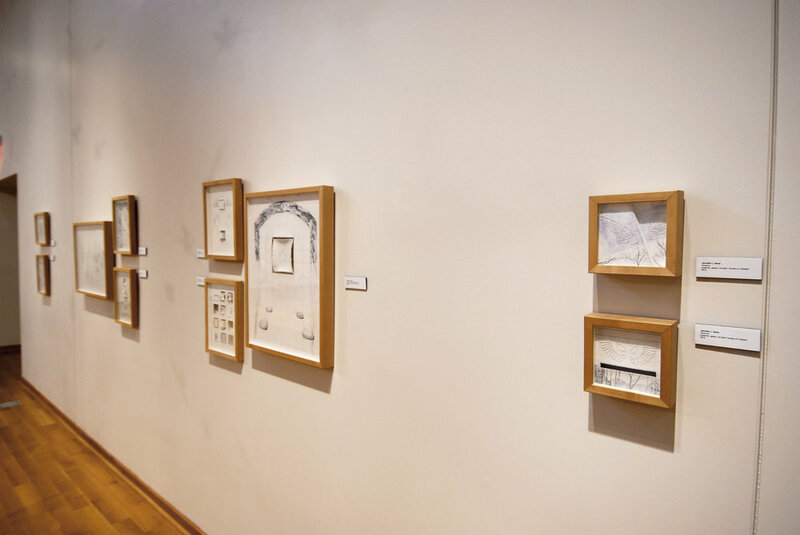 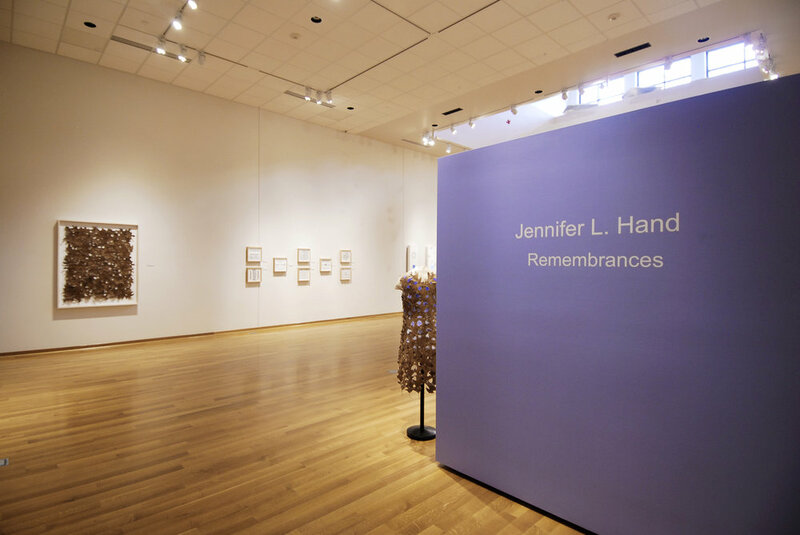 Click through the gallery below to see images of the entire exhibition, also titled Remembrances. 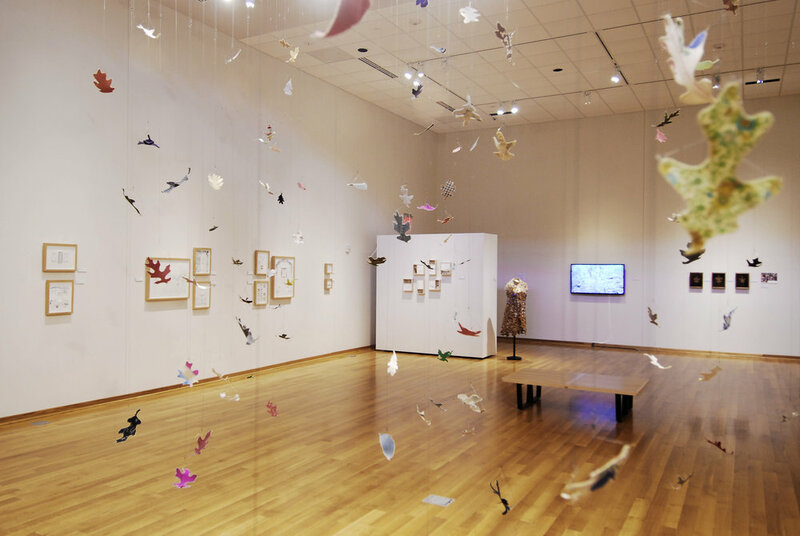 This exhibit also consists of other bodies of work created since 2001 including Garment for Remembering the Earth, The Wild and Wonderful Make Do, Leaf Notes, Whisper Boxes, This Transitory Life, After Agnes, and On Making a Move.